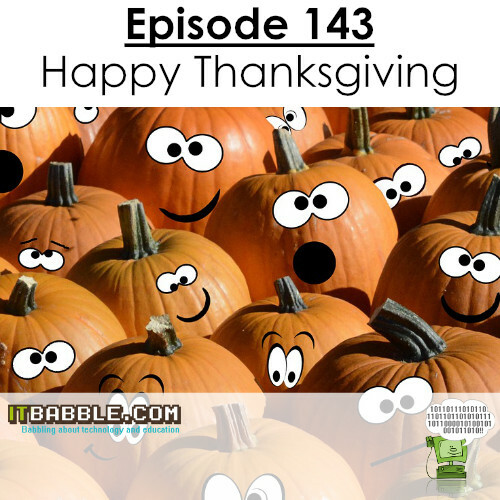 Happy Thanksgiving listener! IT Babble is back and better than ever. This week Tony and Patrick talk about a whole bunch of good ed tech topics. Check out the talking points below. As always be sure to subscribe to us on iTunes. Does it take away a person’s choice? Does Educational Technology need to be its own discipline in universities? Should high school be doing this? As always you can listen to or download the podcast below! This entry was posted in Podcast and tagged apprenticeship, Code, discipline, ed tech, ios, swift. Bookmark the permalink.